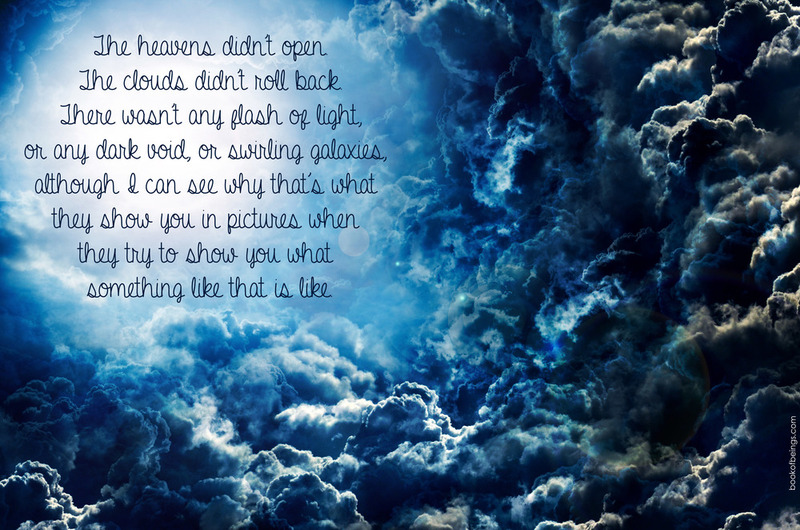 The heavens didn't open. The clouds didn't roll back. There wasn't any flash of light, or any dark void, or swirling galaxies, although I can see why that's what they show you in pictures when they try to show you what something like that is like.